Frequency of Treatment: Treated every-other-day. Other Treatments: Treated every-other-day. Dilute Nolvasan used to soak rolled gauze covered with Vet Flex EZ Tear cohesive bandage between laser sessions. 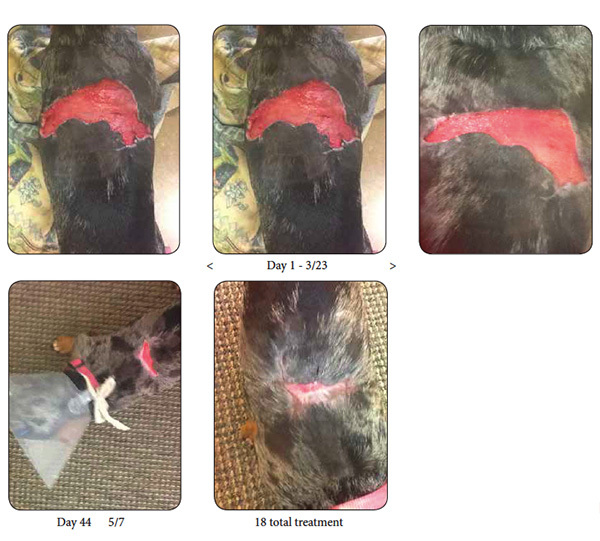 No further surgical debridement and/or skin grafting was needed/performed.